BeefEater’s ultimate outdoor kitchen made from quality stainless steel. Now this is the great outdoors! 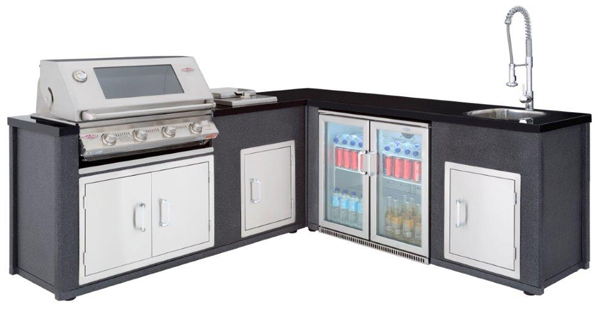 This is BeefEater’s ultimate outdoor kitchen made from quality stainless steel. This beauty features a 4 burner barbecue with side burner and cabinets made from quality stainless steel with the kitchen sink & fridge module. Connecting corner piece: Height (approx): 900-950mm Width (approx):600mm Depth (approx): 600mm. Cook with the hood up, for crispier grilling. Or hood down, for roasts. This is one very serious barbecue with all the power you’ll ever need.